Here at SGM we love a challenge, and nothing spurs us on more than raising money for charity at the same time. You probably will have noticed that we have done quite a few events over the last couple of years for Combat Stress, and we are proud to have raised a total of £7,539.44! 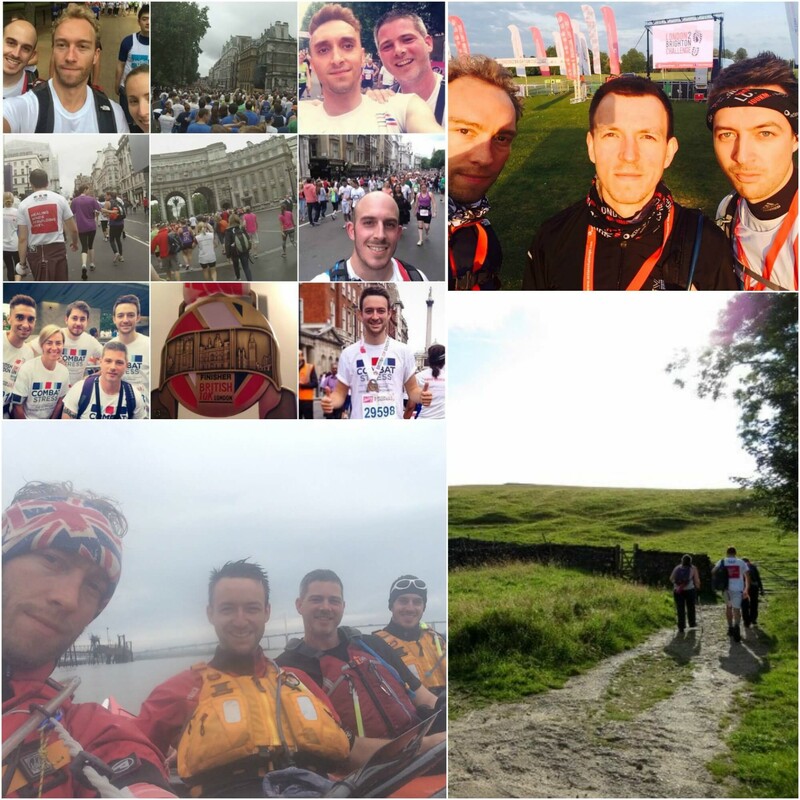 These events have ranged from a team obstacle course, climbing the Yorkshire Three Peaks, running the London to Brighton 100K and British 10K twice and kayaking all the way around the Kent coastline in just four and a half days. For the next year we are supporting two new charities, Cancer Research UK and Pilgrims Hospice. Cancer Research UK are a nationwide charity that has saved millions of lives by discovering new ways to prevent, diagnose and treat cancer. Pilgrims Hospice provides free end of life care and support for patients and their families across East Kent. These charities were chosen by our staff members and they are both causes that have made an impact on several of us here at SGM. We have set ourselves a goal for each charity for the year, and will be aiming to raise £1,500 for Pilgrims Hospice and £3,500 for Cancer Research UK. Dan was the first giant to raise money for Cancer Research UK by taking on the Thames and completing the Great London Swim in a brilliant 43 minutes 16 seconds! We’ve got loads of plans for upcoming events to help us reach our targets and we can’t wait to tell you more about them over the next few months.